You can be a cop, even if you can’t diffuse dangerous situations or catch criminals. The officers of Reno 911 have no idea what they’re doing but Lt. Dangle seems to make it work. Well, maybe he doesn’t, but he still has a badge, right? That counts for something. 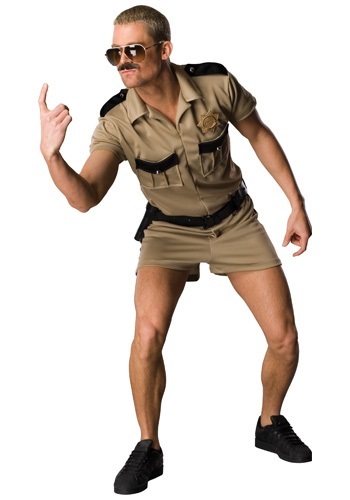 The Lt. Dangle costume proves that all you need to be a cop is some short shorts, a mustache and a can do attitude.